This week we take a look at the work Rozz had released using the name “Christian Death featuring Rozz Williams” after his departure from Christian Death. This does not include Shadow Project as we will be covering that in a separate episode. 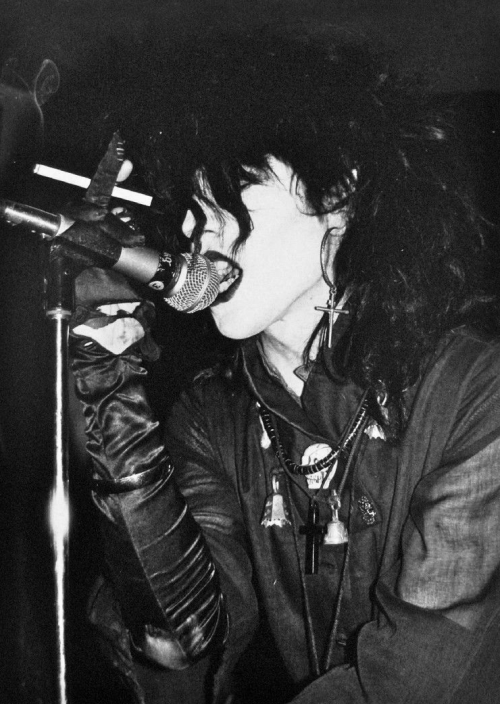 However, this material is not often discussed, and we felt it would be a great third installment into our Christian Death series. We hope you enjoy this episode and all of our other content. As always, stay spooky! If goth’s had an official holiday film then this would probably be it. So let’s watch Dr. Sander’s dissect “Tim Burton’s” The Nightmare Before Christmas. We hope you enjoy this video and all of our other content. As always, stay spooky! We know, We know… Some of you are really excited about this, some are appalled, and some are just confused. Nevertheless, the time has come. This week’s episode is on Marilyn Manson’s first four albums, beginning with Portrait of an American Family and ending with Holywood. Whether you love or hate Marilyn Manson, we hope that you enjoy this episode and can find something that resonates with you. As always, stay spooky! This week we take a look at Xmal Deutschland, a band with a very interesting catalog that is not nearly discussed enough, duking it out over which of their four albums deserve the most accolades. What would a GothCast episode be without an argument between Dr. Sanders and Robbie Gore? We hope you enjoy this episode and all of our other content. Stay spooky! In this episode we take a look at Elvira’s two feature length films, Elvira: Mistress of the Dark and Elvira’s Haunted Hills, as well as some of her more obscure work. Elvira, also known as Cassandra Peterson, has been a goth fan favorite and a lomg time staple of all things macabre. With Halloween approaching we felt it was the right time to talk about “The Mistress of the Dark.” We hope you enjoy this episode and all of our other content. Stay spooky! This episode has been a long time coming, but it finally felt like time. We were in the right mood… The Depeche Mood. This week we will be taking a look at Depeche Mode’s first four albums beginning with Speak and Spell and ending with Some Great Reward. We hope you enjoy this episode and check out all of our other content as well. Stay Spooky!